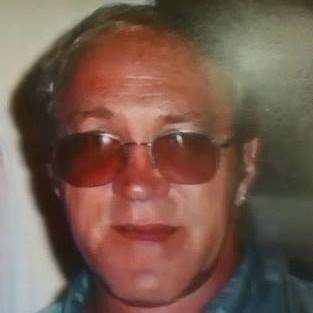 Roger Lee Gilland, 61, of Blue Ridge Summit, PA, passed away Thursday, February 7, 2019 at his home. Born Thursday, July 4, 1957 in Waynesboro, PA, he was the son of Miriam Louise (Plank) Gilland of Blue Ridge Summit, PA, and the late Kenneth Lee Gilland. He was a graduate of Waynesboro High School class of 1975. He was employed by Gilland Memorials of Blue Ridge Summit, PA, for 40 years. He enjoyed traveling and loved his animals. In addition to his mother, Roger is survived by sister, Lois Lynn and husband Robert, niece, Andrea Hagan and husband Mike, nephews, Rusty Lynn and wife Ginger and Wesley Lynn and fiancé Lesa, five great-nieces, one great-nephew and several aunts, uncles and cousins. A memorial service will be held Friday, February 15, 2019 at 2:30pm at J.L. Davis Funeral Home, Smithsburg, MD, with Pastor Eugene Cline officiating. Burial will follow in Bethel Cemetery, Cascade, MD. The family will receive friends one hour prior to the service. In lieu of flowers, memorial donations may be made in memory of Roger Gilland to the Gift of Life Donor Program at 401 N. 3rd St. Philadelphia, PA, 19123. Online condolences may be offered at, www.jldavisfh.com.